In 2000 David Crumley put on an addition to the home which increased the size of the two main floor bedrooms, added a screened-in porch, and expansive decking. The roof was replaced in 2000; heat pump in 2004 (serviced by Landes HVAC); exterior repainted in 2017/18. Hot tub sold "AS IS". 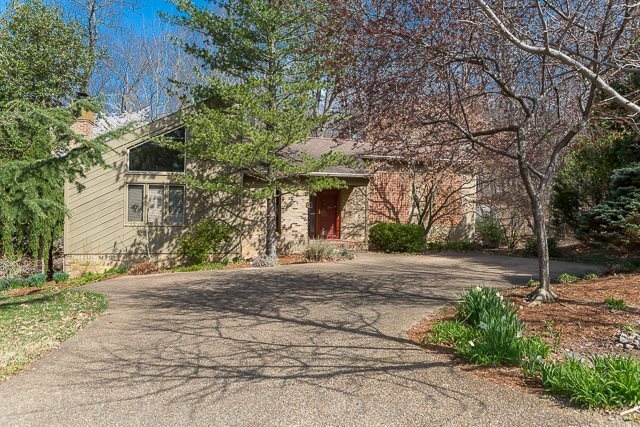 Beautiful hickory floors; inviting screened-in porch overlooking the wooded yard; family room has a brick hearth with flue for wood stove; large kitchen with pantry, eating bar and desk area; the small loft area makes a perfect library nook. A stone path leads to a wonderland of perennials and Spring flowering trees-a partially native habitat. This special property is out of the ordinary and the unique pleasures now await a new family. Best Use: Residential Site With Mature Landscaping And Beautiful Trees. © 2019 Harrisonburg-Rockingham Association of Realtors All rights reserved. Information deemed to be reliable but not guaranteed. The data relating to real estate for sale on this website comes in part from the Broker Reciprocity Program. Real estate listings held by brokerage firms other than Acker Real Estate are marked with the BR logo and detailed information about them includes the name of the listing brokers. Listing broker has attempted to offer accurate data, but buyers are advised to confirm all items. Information last updated on 2019-04-24.